Qatar's 1st off-road bike tour is here from your favourite outdoor company Blue Pearl! We gear up & cross the Zekreet headland, from Zekreet village to the Richard Serra statues. 2,5 hour guided tour. Prerequisite: able to ride. Kids 9yrs+. 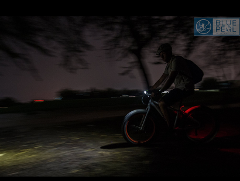 The ultimate night biking experience in Qatar. 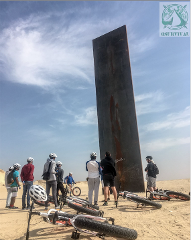 A magical fatbike ride around the Doha Golf Club 18 Hole Championship Course. Excursion through woods, spot desert foxes, bats, frogs and the sound of peacocks in the background. Guided tour.